The video ads would be 15 second long, and it will be automatically played on the user’s PC or mobile. If the user scrolls through, then the ad will stop playing, and if the user taps on it, then the video will capture the whole screen. Sound would not be played automatically, but if the user taps on the video and expands it then sound will also play. The video ad delivery will be measured by Nielsen Online Campaign Ratings, as Facebook is trying to keep the ad buying process similar to how advertisers buy and measure ads on television. The idea, as per Facebook, is to reach targeted, “specific audience over a short period of time” by using and optimizing videos. Advertisers will be required to only pay what Nielsen Online Campaign Ratings measures. 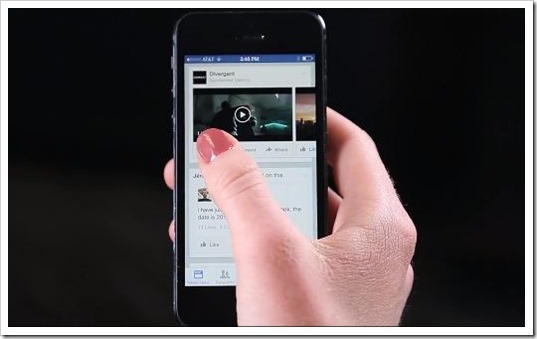 Last year in December, Facebook had announced that they are testing a new way to advertise on their platform by using videos. For the experiment, they had partnered with Summit Entertainment and Mindshare to promote a series of videos for the upcoming film, Divergent. In that blog post, they had published few FAQs as well, and one of them being that the videos would be auto-played and the only way to stop these videos is to scroll through them. Facebook understands that not all videos would be approved to be run on their platform, and this is the reason they have partnered with a firm called Ace Metrix which will evaluate and judge the videos before approving them. Ace Metrix will check the “watchability, meaningfulness and emotional resonance” of the video and based on these factors, the ads would be approved to be run on their platform. Not all Facebook users would be excited to see video ads disturbing them on their timeline, and protests have already starting pouring in. But Facebook executives firmly believes that they have every right to milk their billion+ global users, and video ads would have negligible and very less effect on the user engagement. Are you a Facebook user? What is your view on this new format of advertisement on Facebook platform? Do share your views by commenting here. Delhi’s Select Citywalk Mall Going Online… Ironic?